In this economy need is the new want. And exceptional businesses are realizing tangible, meaningful outcomes using social media & mobile marketing. Here’s how they’re doing it — in two words: Build utility. Success with “social” marketing is becoming less about creating desire, positive sentiment or aspiration among customers. It’s more about demand creation. Whether B2B or B2C, customers are buying based on what they need. Awareness, recall, positive sentiment, “engagement” and buzz aren’t enough to overcome this mercenary reality. And masses of Facebook fans or Twitter followers aren’t enough either. Buzzing or creating awareness we think generate incremental sales is worthless. Success lies in discovering latent, hidden demand among customers and capturing it. The real social media success stories aren’t arising out of tactical experimentation with Twitter and Facebook. They’re being built from the ground up – strategically, with qualitative outcomes in mind. And they’re using tried-and-true marketing concepts to get the job done. These winning strategies key on usefulness and value-creation. They’re strategic investments, not tactical expenses. They’re marketing-oriented but highly operational and often aimed at creating loyalty by improving customer experience. I’m noticing common themes among social media successes like BBVA bank. They focus on fostering customer behaviors that lead to profitability. Whole Foods does this similarly with its mobile application when it suggests meals/shopping lists based on health needs — and even suggests meals for ingredients you already have. The secret sauce is being endlessly useful and hyper-relevant to customers. This means giving customers tools that make it easier for them to transact with you. But beware: it’s easy to fall into the trap of novelty. Example: How many customers love iPhone applications? Many. 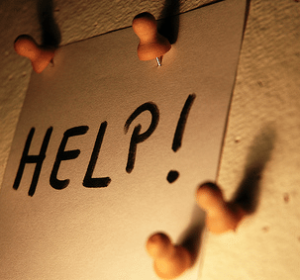 But how many apps are truly needed by users and used as part of everyday life? Jay gives outstanding examples of how to discover what’s relevant. 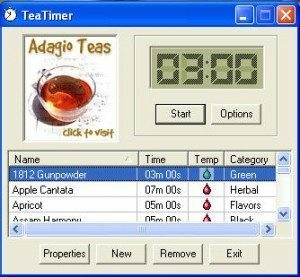 Adagio Teas has a fully customizable, “digital desktop tea timer” that helps tea connoisseurs brew a perfect cup each time, and mixes in a powerful, respectful marketing approach to all who use it. Adagio gives tea drinkers a useful tool. In return, it gets access to intimate needs-focused information on the customer or prospect him/herself. Notice the qualitative outcomes for both parties? It’s a value-exchange between parties. It’s balanced, and always gives your company the opportunity to foster more behaviors. How can your product snap effortlessly into customers’ lives in a profoundly useful, relevant way? USAA Bank already knew that customers were using technology to make their “banking lives” more productive. It simply “turned up the volume” with social and mobile tools — allowing customers to take utility to new heights. They didn’t employ a secret formula or best practice from outside the company. They looked at their own scenario for answers.